So the first print edition is finally here! 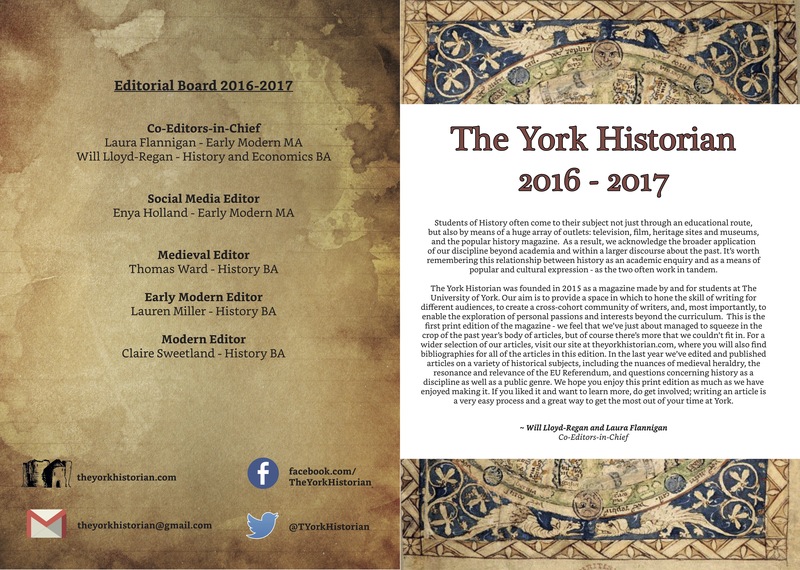 The former co-editors in chief of the 2016-2017 board are pleased to have produced and now present the fruits of their labour. We hope you enjoy it as much as we have enjoyed making it. All of this was made possible by the commitment and enthusiasm of our writers, whose work has made the magazine what it is. Special thanks then to all of the contributors and to the 2016-2017 board – the endless proofreading and re-drafts will not be forgotten. Here is a link to an embedded version of the magazine, and here is a PDF version. To see it in print do pop by to one of the writers’ meet-ups where reference copies will be available to browse, or get in touch with the current board. Here’s the inside cover as a preview.